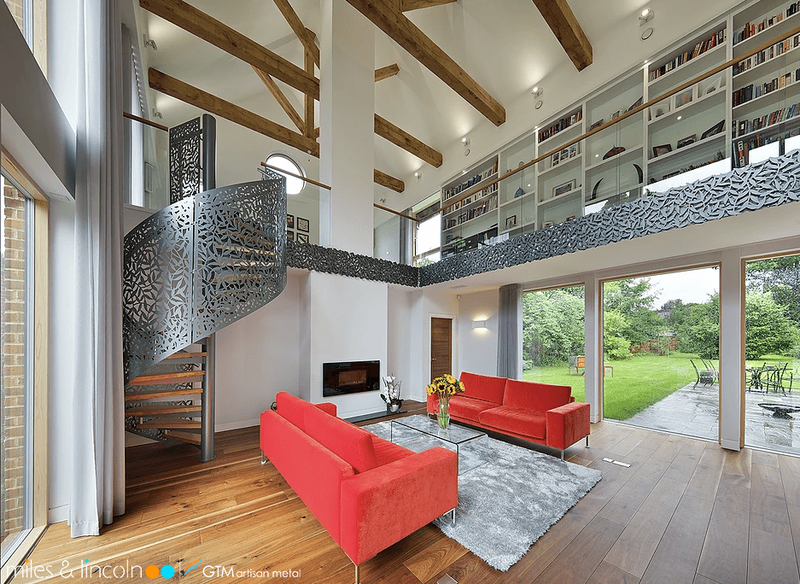 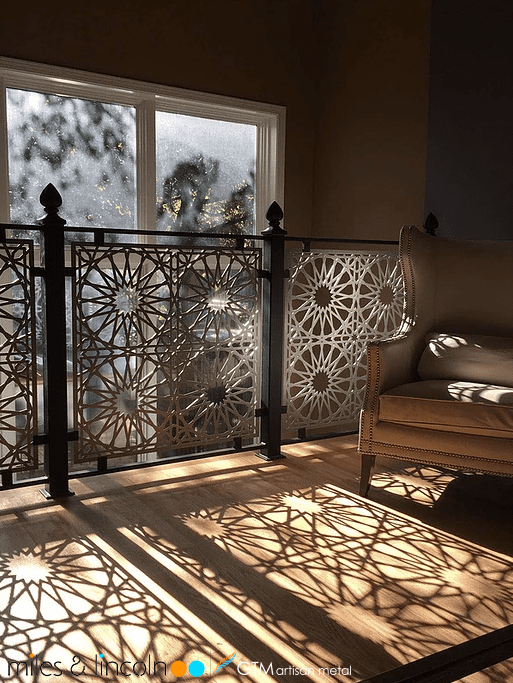 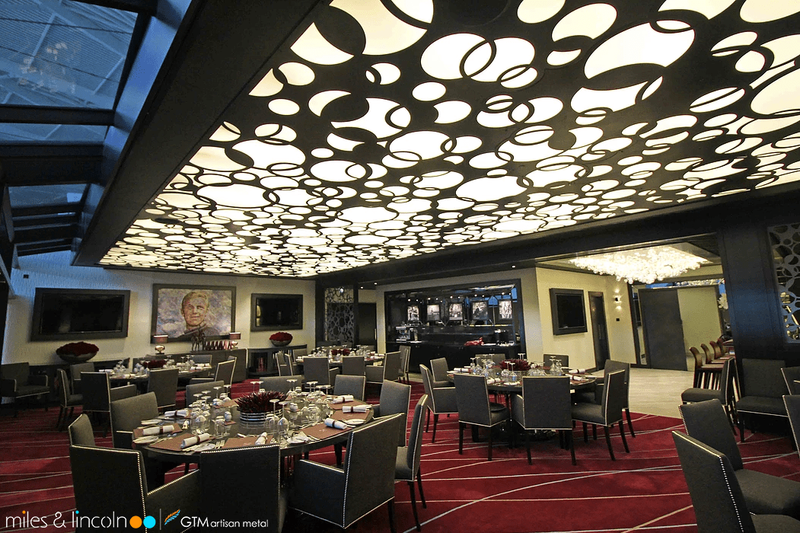 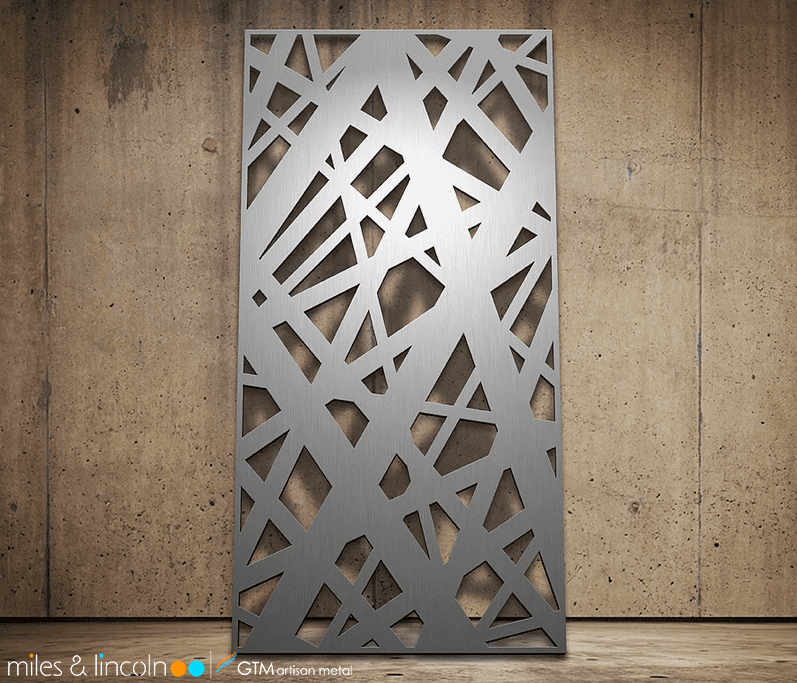 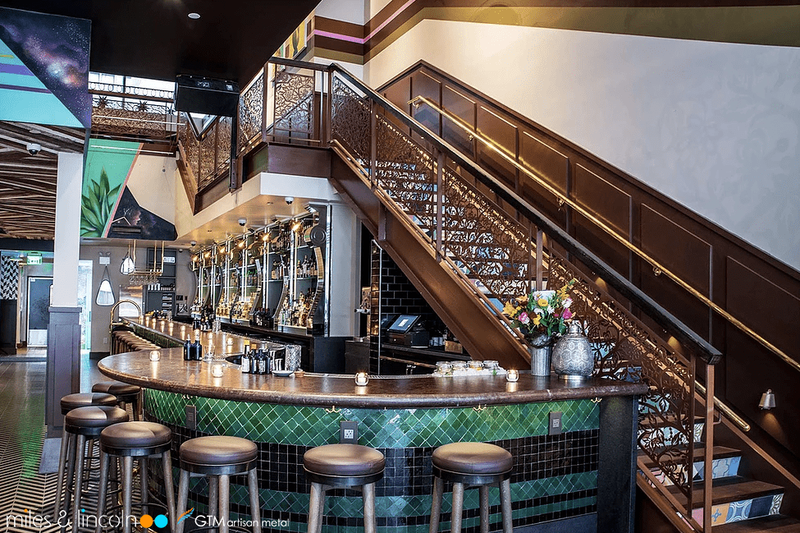 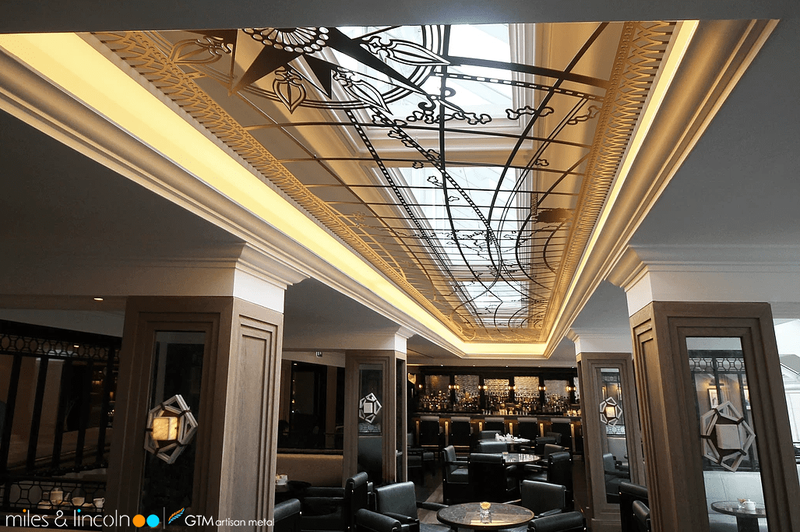 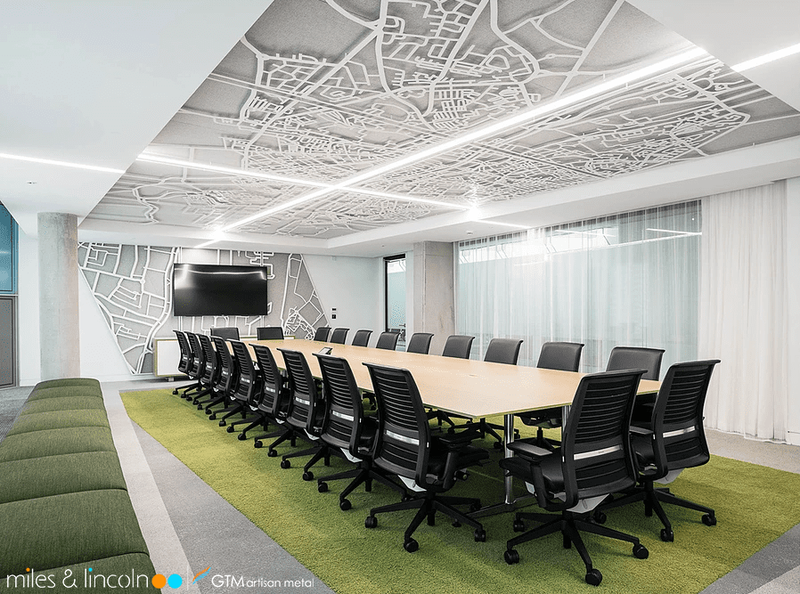 GTM Artisan Metal is the Authorized Fabricator for Miles & Lincoln designs, offering the finest European laser cut designs with installations throughout the USA. 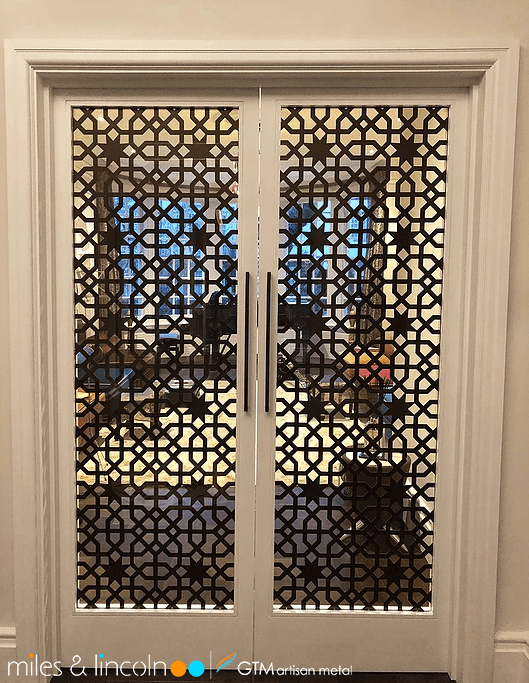 Our specialty is pattern design coupled with laser cutting. 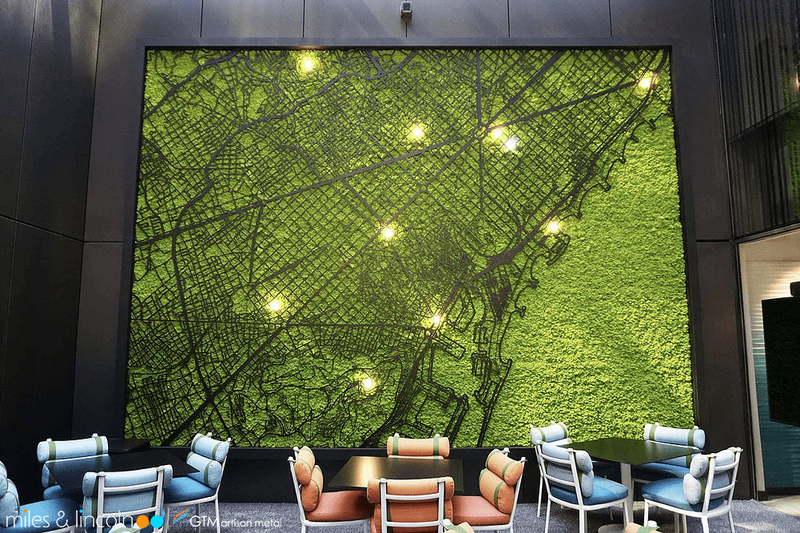 Our exclusive designs feature in commercial environments, retail, hotels, bars, restaurant, offices as well as luxury residences and apartments. 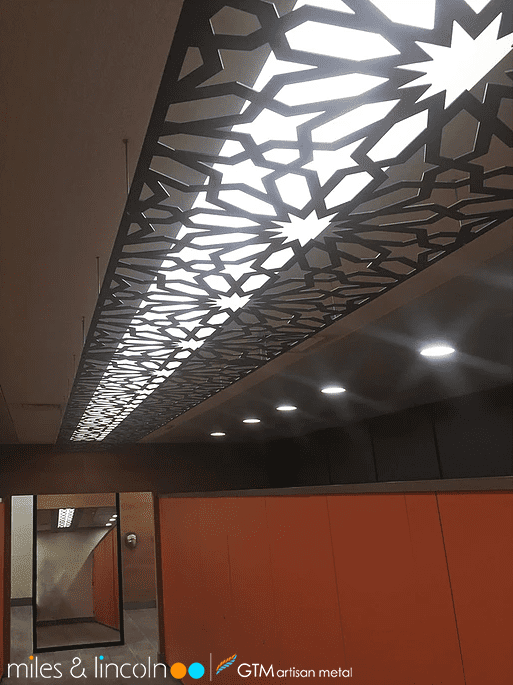 Decorative dividing partitions, suspended ceilings, balustrade and stairway infill, functional and attractive security screens, exterior facades and cladding, doors, landscape architecture, decorative art installations and corporate branding make for innovative interior design schemes. 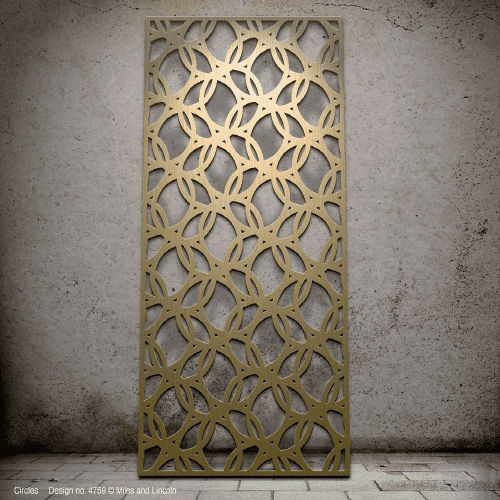 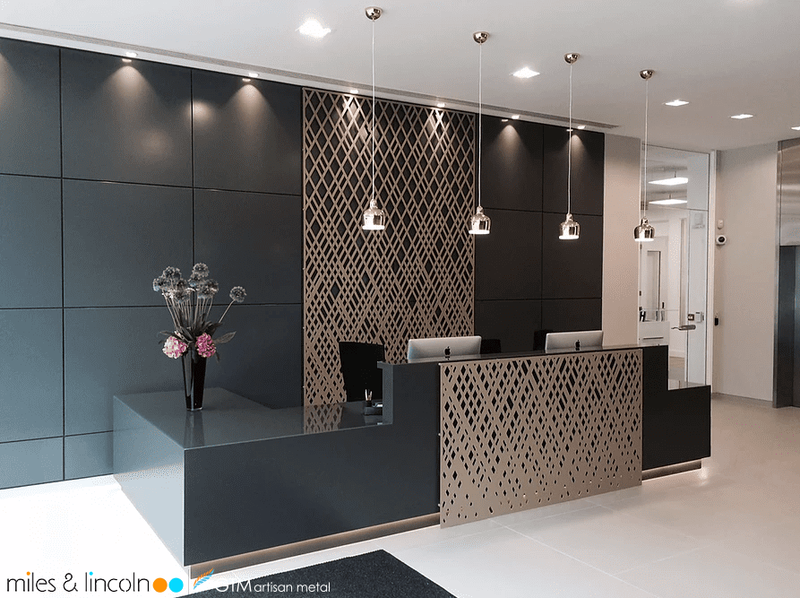 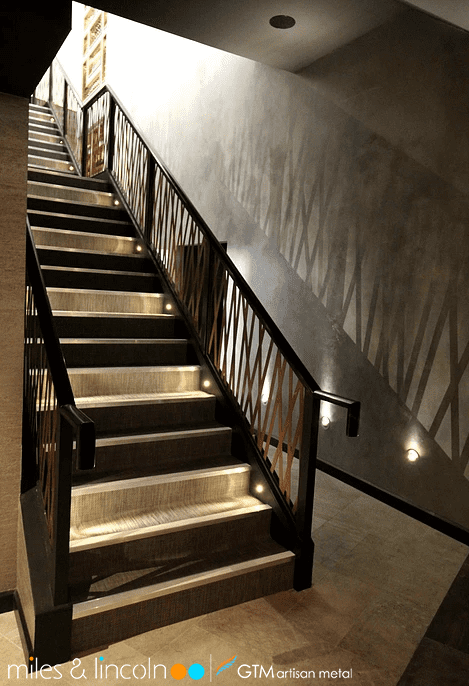 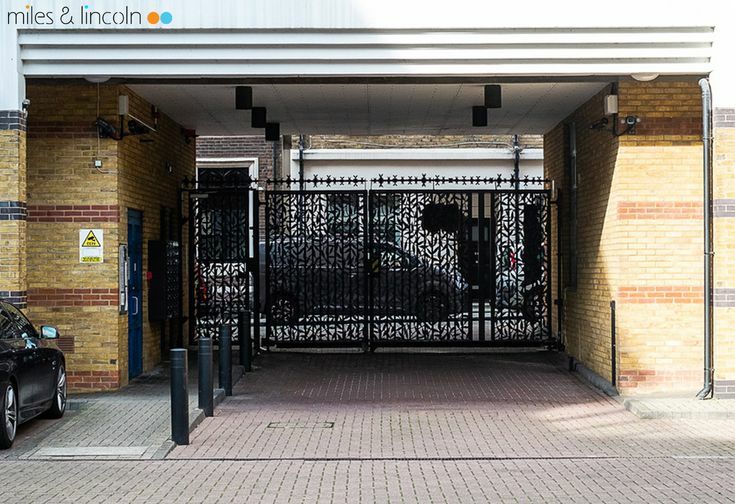 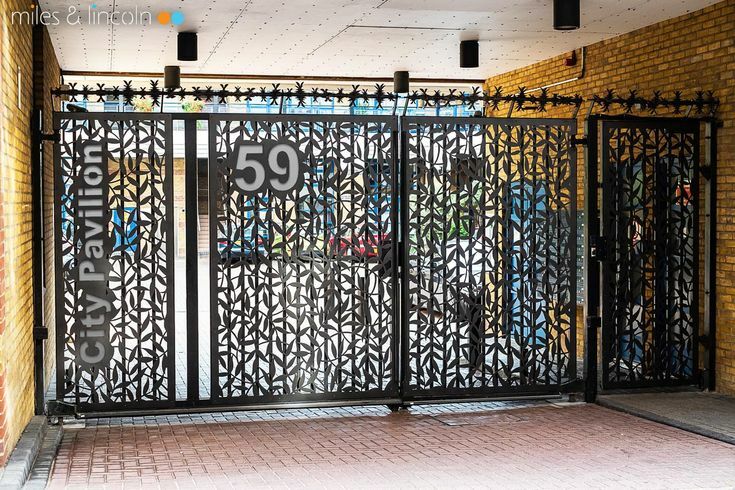 Miles & Lincoln are the UK’s leading designers of laser cut panels and decorative metal screens for interior design and exterior architecture. 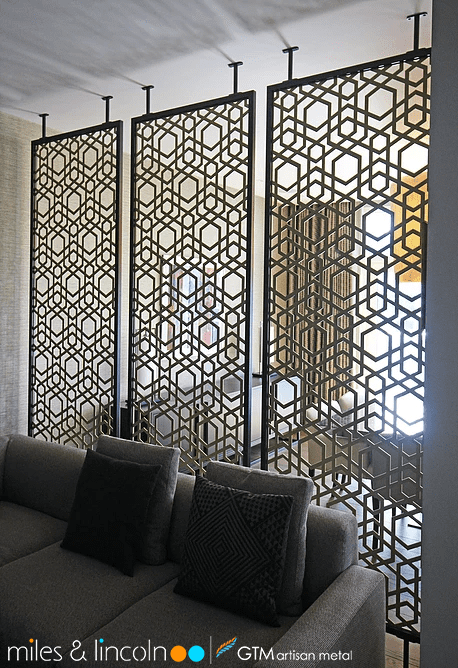 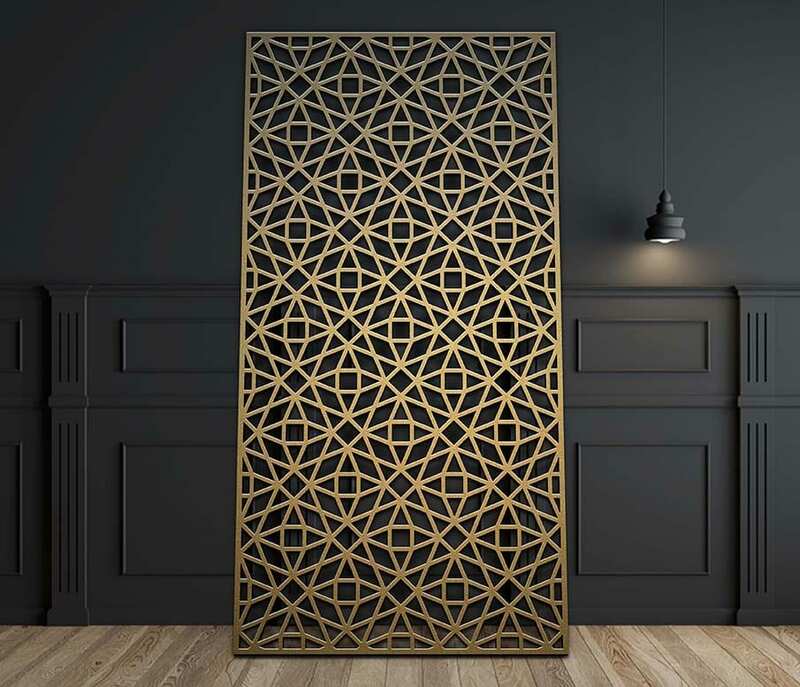 Miles & Lincoln have produced a unique collection of laser cut screens with additional designs being introduced on a regular basis to meet changing market demands and tastes. 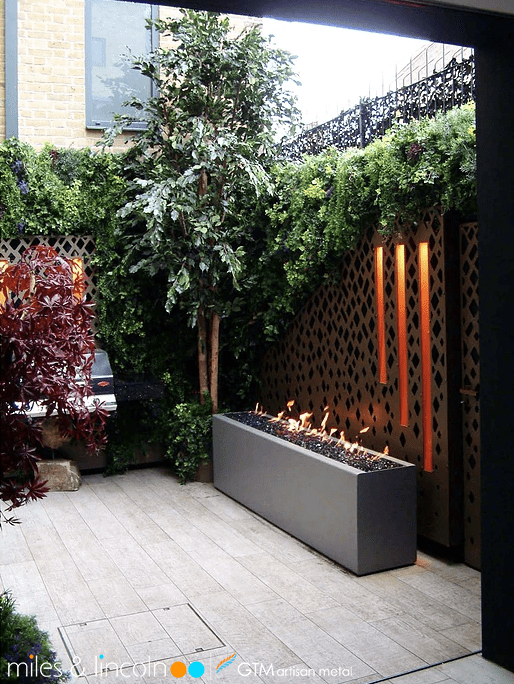 In addition, bespoke designs can be created to satisfy the unique requirements of individual clients. 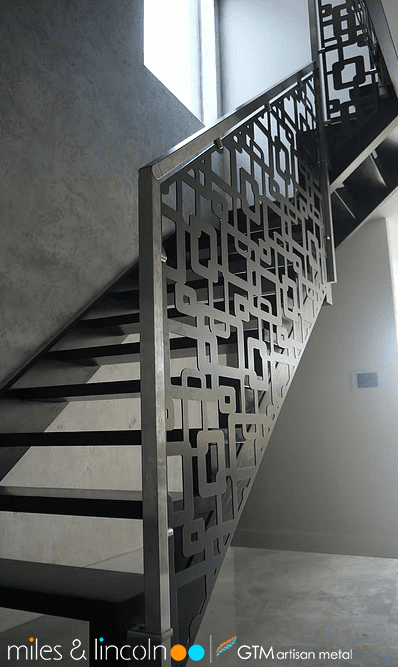 Make your next artistic project shine and stand out with custom metal fabricated components from GTM Artisan Metal. 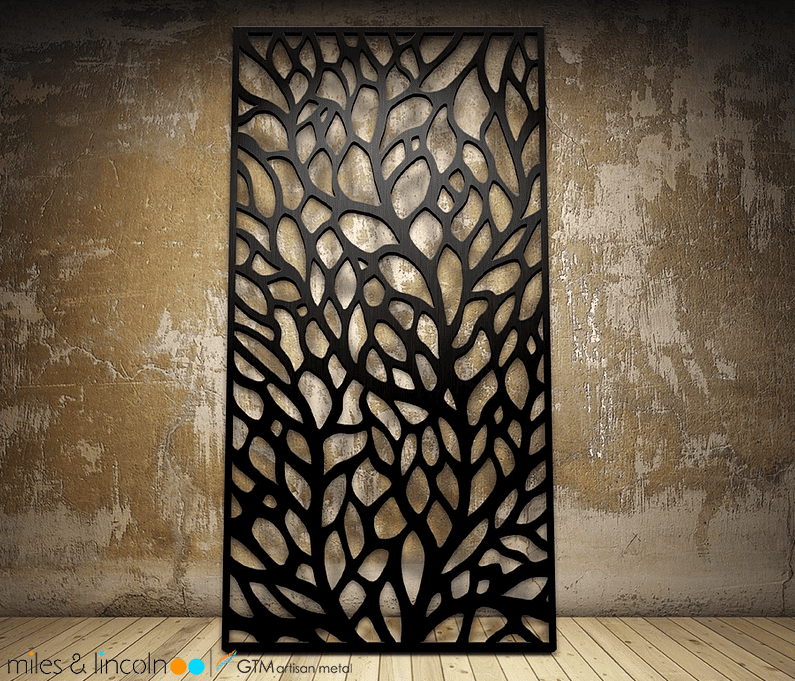 With complete fabrication capabilities, we can provide signage, table components, gussets, frames, and more to fit your individual piece of art or custom installation. 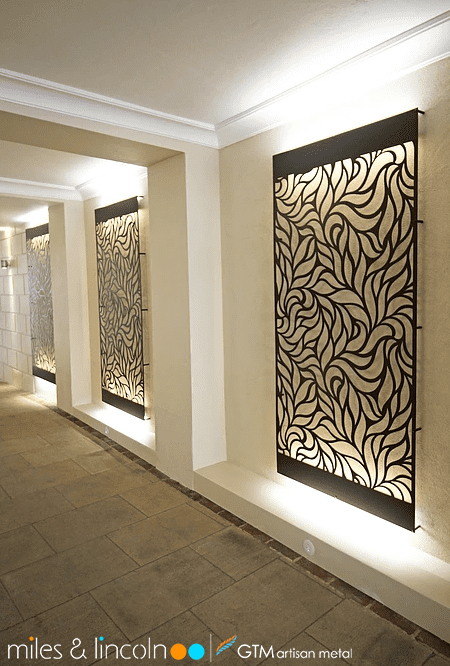 Our finishing capabilities ensure that your artwork is front and center and supported with style.